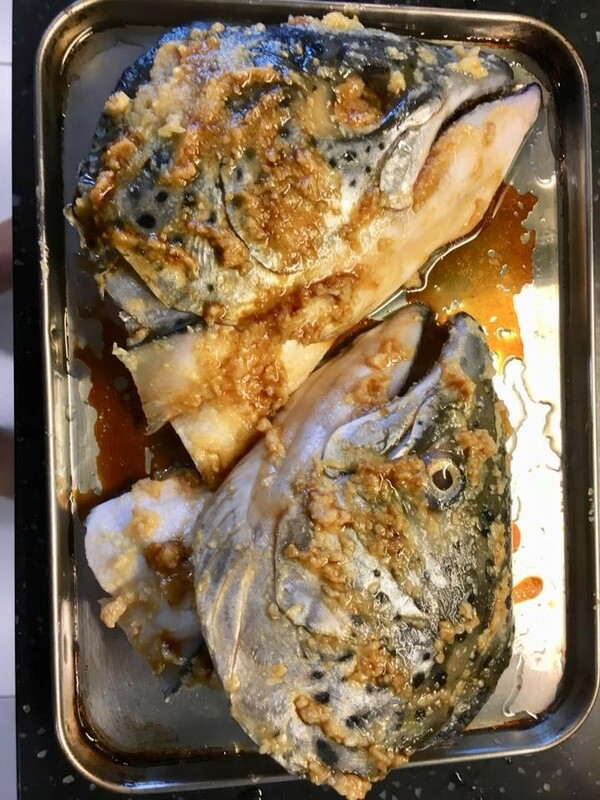 bought a few S$3 salmon fish head from song fish when i bought salmon belly recently. meat was very sweet & tasty, and not fishy, with the flavours of miso & the fragrant light soy sauce. grilling gives a slight charred skin & wonderful grilled flavours, the sauce dries up a bit so more intense, and the more fatty parts of the flesh near the belly combines well with miso & light soy sauce, are not chunky in texture like the steak or fillet parts, so perfect la! rub 1 tbsp flat miso on the 2 half-heads on both sides. 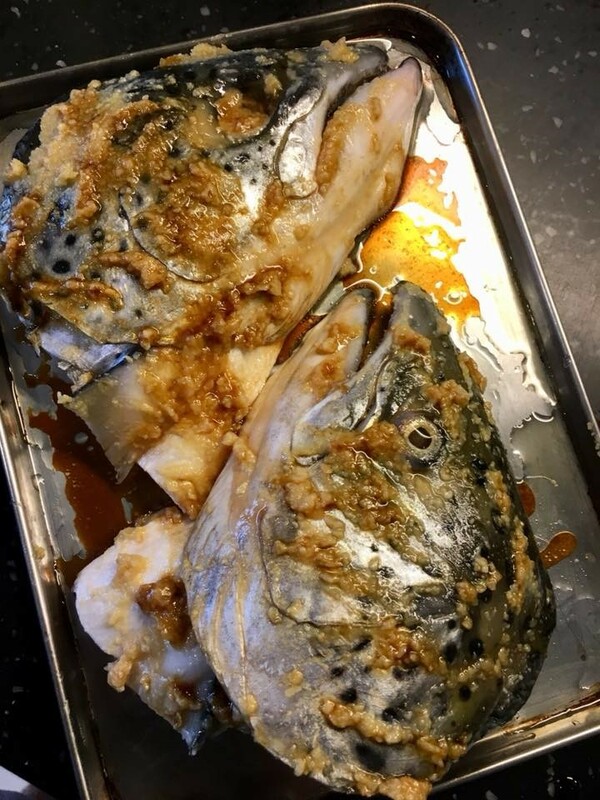 This entry was posted in western & japanese and tagged fish head, light soy sauce, miso, olive oil, recipe, salmon, song fish, teriyaki. Bookmark the permalink. 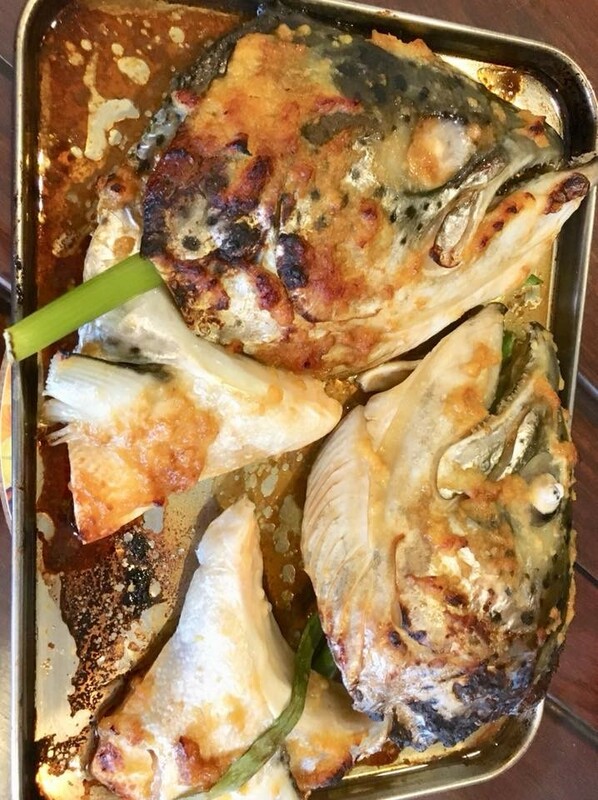 May I please ask which shelf of the oven you put the fish head on to grill? I tried before on the top grill shelf and the head burned before the meat cooked. would really appreciate any advice. Thanks! it should not matter much in general which shelf for this recipe. oven should be set to 250degC with fan circulation.. I like the bbq & slight charred flavours..& miso will increase the carsmelisation. If you prefer less charred then add olive oil to fish head & use spoon to smooth off the miso. 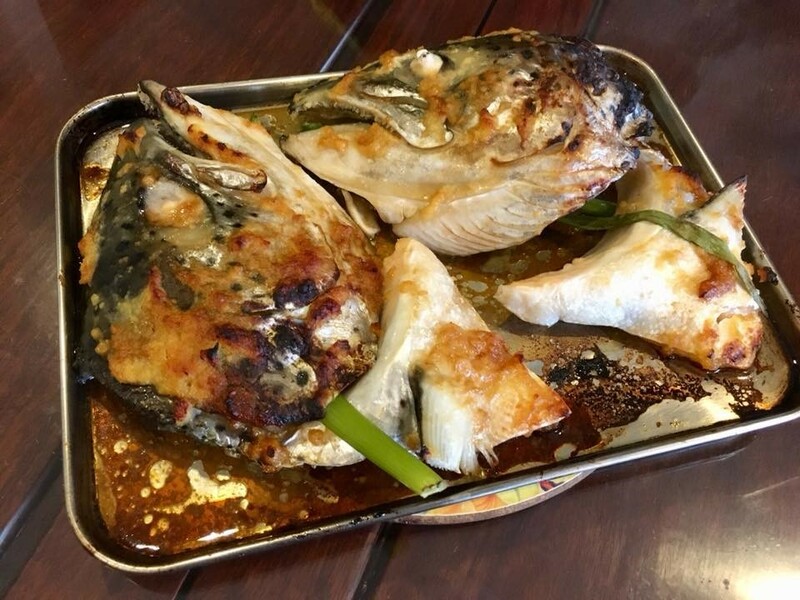 If you prefer bake to grill then use aluminium foil to completely wrap the fish head ..a longer time is needed probably 18-20mins ..test out yourself…you can also open the aluminium foil to grill for the last 3 to 5 mins…if so you can use the grill function for the last step.. Thank you very very much for your advice Chef! I love your website….you are the only person I have read who seems to share my love for fish heads….even Song fish heads!!! basically cooking is about texture & taste..and of course colours and presentation to add to the dining experience..so the freshness, marinade, condiments deliver the taste and flavours and the cooking time & method deliver the texture..